Multi-point inspection. Each and every approved used smart has undergone a rigorous multi-point inspection by a specialist smart technician to give you complete assurance and peace of mind. 12 months' roadside assistance. Wherever you are in the UK, smart will assist you with emergency breakdown and recovery. 12 months' unlimited mileage warranty. With 12 months’ unlimited mileage warranty, smart has you covered no matter how far you travel. MOT test failure cover. MOT test failure cover is valid for vehicles more than two years old and will cover the cost of replacing, repairing or altering parts - terms and conditions apply. 30 day / 500-mile exchange plan. We offer an exchange plan in case you change your mind about your smart within 30 days or 500 miles – whichever comes sooner. For a great choice of new and used smart cars in Beaconsfield. Interested in a smart vehicle? We have a smart car showroom in Beaconsfield. 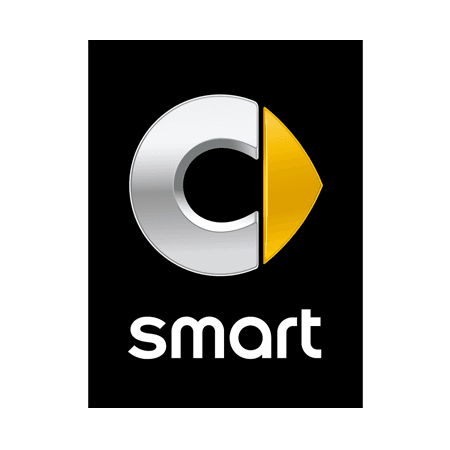 As an authorised smart dealer, we know everything there is to know about smart's and are happy to share our passion on these vehicles with you. We offer a range of both new smart and used smart vehicles, so whether you are looking for a smart fortwo coupé, a smart fortwo cabrio, or the unique smart forfour, Hughes smart will be able to help. Our team of experienced and knowledgeable staff are on hand to advise you on every aspect of buying a new or used smart vehicle, making the purchase a hassle free and enjoyable experience. They will be happy to book a test drive, send you a brochure, and assist you in arranging a finance deal. In addition to the sales centre, Hughes smart also offers a service and accident repair centre at our Beaconsfield location, giving you piece of mind in knowing that your vehicle will be serviced and repaired by our expert technicians to the highest quality. So for the best smart car deals in Beaconsfield, High Wycombe, Aylesbury, Thames Valley and Chilterns area, feel free to call us or pop into our showroom.